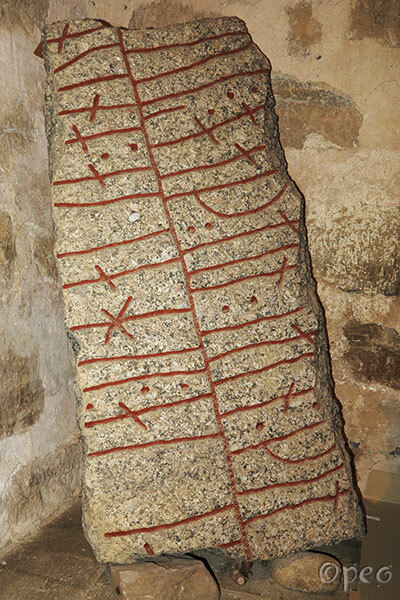 A part of a rune stone that is standing in the porch of Slaka church. 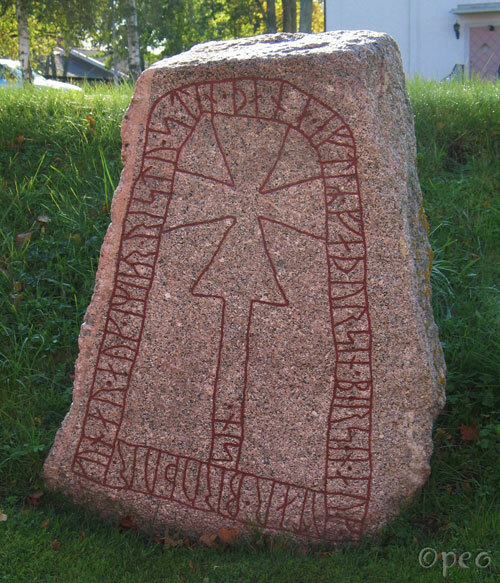 Gunnarr and Hemingr raised this stone in memory of their father Bergsveinn and Óttarr, their brother. Slaka is situated south of Linköping.